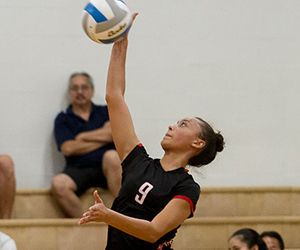 Player of the Year: Elena Oglivie, Iolani, OH, Jr. 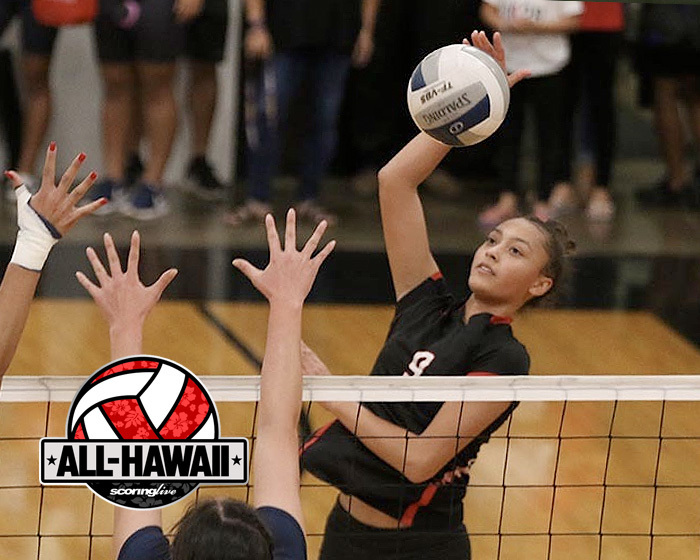 There was no stopping Iolani's Elena Oglivie in 2018. 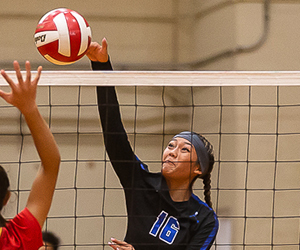 Opposing teams could only hope to contain her. 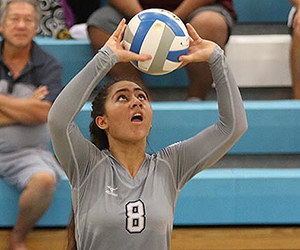 The junior outside hitter was selected as the ScoringLive All-Hawaii Girls Volleyball Player of the Year after leading the Raiders to their second Division I state title in three years in late October. 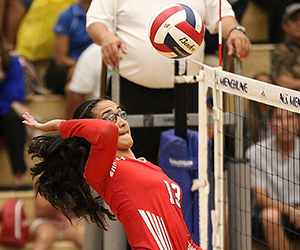 Oglivie totaled 314 kills and 170 digs in 14 ILH matches and four state tournament contests to help Iolani finish with a 13-5 mark in the final standings. 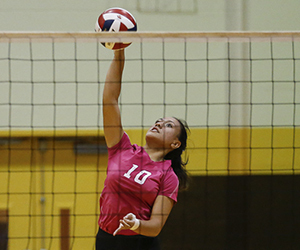 "Elena was outstanding for us this year as she has always been," Iolani coach Kainoa Obrey said. 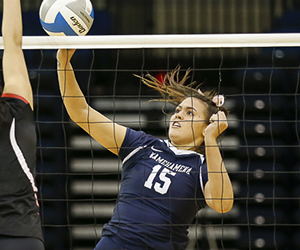 "She is a leader primarily by example and has grown to be a vocal leader as well. 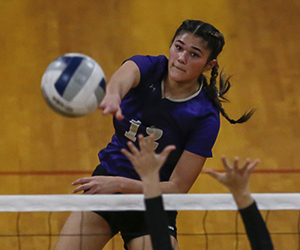 She has the full respect from her teammates and coaches as she is grounded and has such a positive outlook with a tremendous drive to be the best she can be." 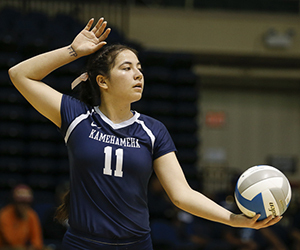 The Raiders' five losses this year were all against Kamehameha, who faced off with Iolani seven times during the season. 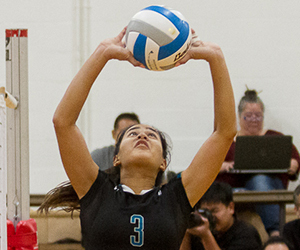 In the two matches that the Raiders were able to win over the Warriors, Oglivie elevated her play to new heights. 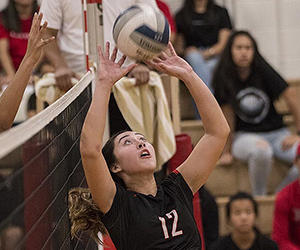 In Iolani's first win over Kamehameha, Oglivie put down a season-high 31 kills to help the Raiders rally from an 0-2 deficit to win in five sets. 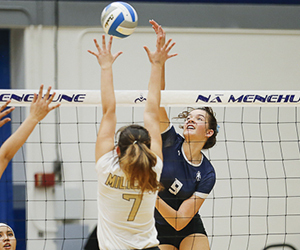 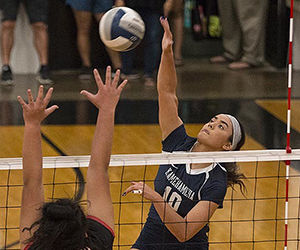 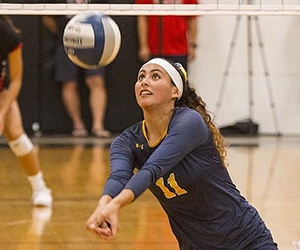 "She's always been dynamic and she will continue to be dynamic," Kamehameha coach Chris Blake said of Oglivie, who earned All-Hawaii First Team honors as a freshman and sophomore. 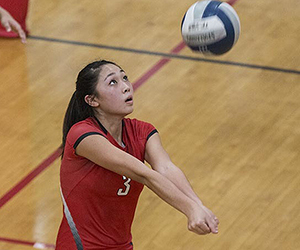 "For as many swings as she takes over the course of the year, she's pretty consistent. 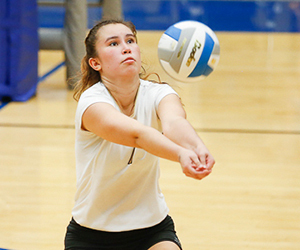 That's a testament to her abilities." 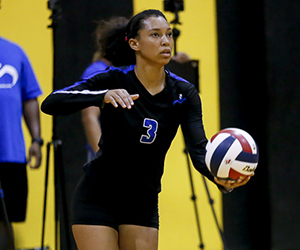 The Raiders' second victory over the the Warriors came in the state championship match where Oglivie pounded 28 kills in a three-set sweep. 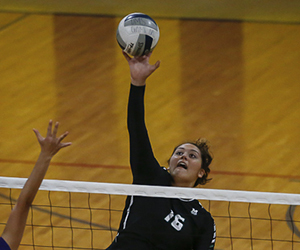 "We relied on Elena to produce a lot of points for us. 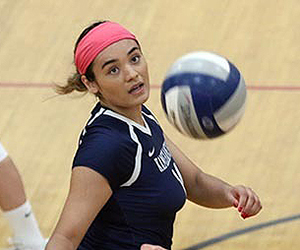 The opposing teams also knew that she would be set a lot. 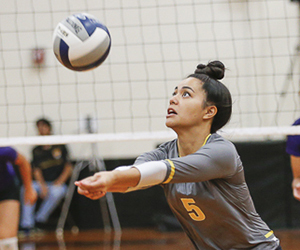 However, Elena would just do her thing and at times exercise her ability to take over a match," Obrey said of Oglivie, who totaled 80 kills during the state tournament. 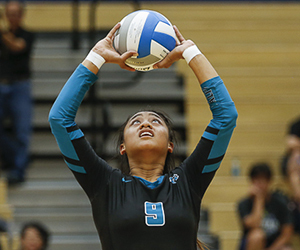 "Beyond her attacking, her serve-receive, passing and digging demonstrated her high volleyball IQ, and our team fed off of her non-stop efforts to better the ball. 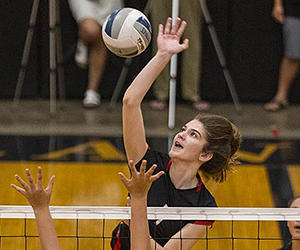 Along with our team, she played her best match in the state final and helped to propel us to a state championship." 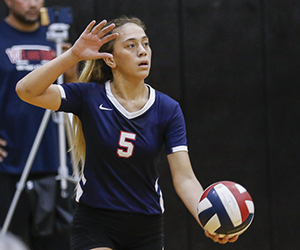 The Sacred Hearts girls volleyball team finished the ILH Division II season in fourth place, but got better as the year went on to claim its first state title since 2006. 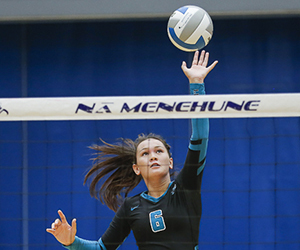 For the Lancers' efforts, second-year coach Raymond Patcho earned All-Hawaii Coach of the Year honors. 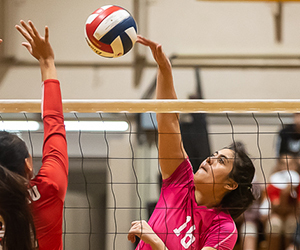 Sacred Hearts also started the season with a 0-3 record before winning 13 of its final 14 matches, which included a win over 2018 league champion Mid-Pacific in the state quarterfinals and a victory over two-time defending state champion Le Jardin in the championship match.